"Saturday Night Live" celebrates 40 years with a star-studded NBC special airing live on February 15. Ben & Jerry's is celebrating the 40th anniversary of "Saturday Night Live" with a new "SNL"-inspired flavor: Wayne'Swirled. Ice cream lovers and "Saturday Night Live" fans, rejoice! 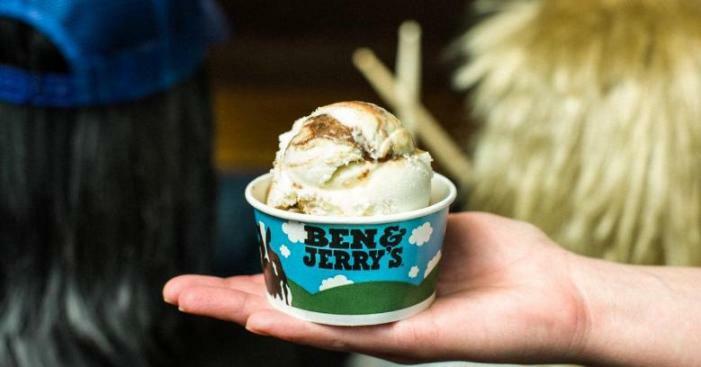 Ben & Jerry's has unveiled its final "SNL"-inspired flavor, Wayne'Swirled — a caramel- and fudge-laden homage to sketch comedy's favorite metalheads. Wayne'Swirled's blend of dark caramel and vanilla ice creams with fudge and caramel swirls is, the creamery says, "an ode to the yin and yang that are Wayne and Garth." It's currently available only in Ben & Jerry's ice cream shops. Wayne'Swirled marks the final installment in a line of four flavors marking the landmark NBC sketch comedy show's upcoming 40th anniversary. Last year, Ben & Jerry's offered up Two Wild & Crazy Pies, a pie-heavy tribute to the classic recurring Steve Martin and Dan Aykroyd sketch about two overeager Czech brothers' antics. Before that came two others: Lazy Sunday, full of cupcakes and frosting, and Gilly's Catastrophic Crunch, with caramel clusters, fudge-covered almonds and a marshmallow swirl. The three-hour "SNL" 40th Anniversary Special will air live Sunday at 8/7c on NBC.